I wanted to share with you some of my favorite parts of the International Quilt Festival that was held here in Cincinnati last weekend. It's so amazing that such a great show is right in our own backyard! 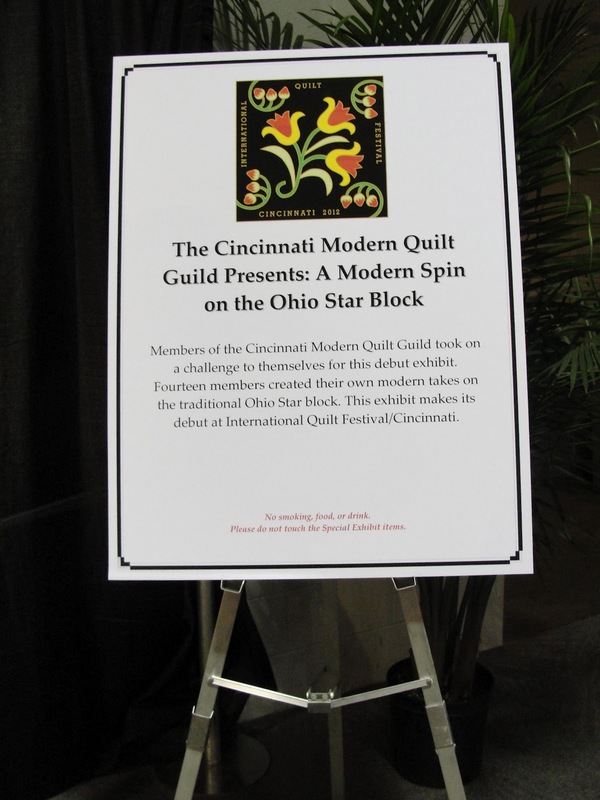 The Cincinnati Modern Quilt Guild (of which I am a proud member!) had the opportunity to create a special exhibit for the show. 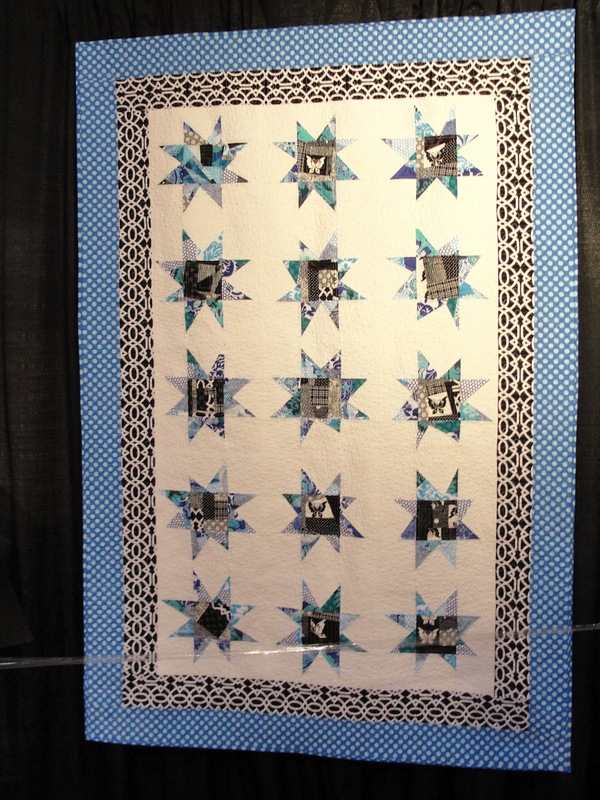 The challenge was to create a modern quilt inspired by or based on the traditional Ohio Star block. 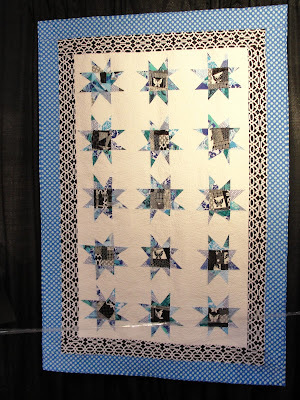 And MAN, there are some creative and talented gals in my guild! Wow! You all did a wonderful job! 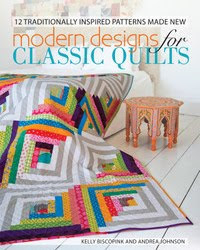 Everyone made beautiful show-worthy pieces! Thanks, Jean! It's pretty amazing to get to rub elbows with these gals - so talented, and very inspirational! Wish you were here to play with us - - - when are you coming to visit?!? !